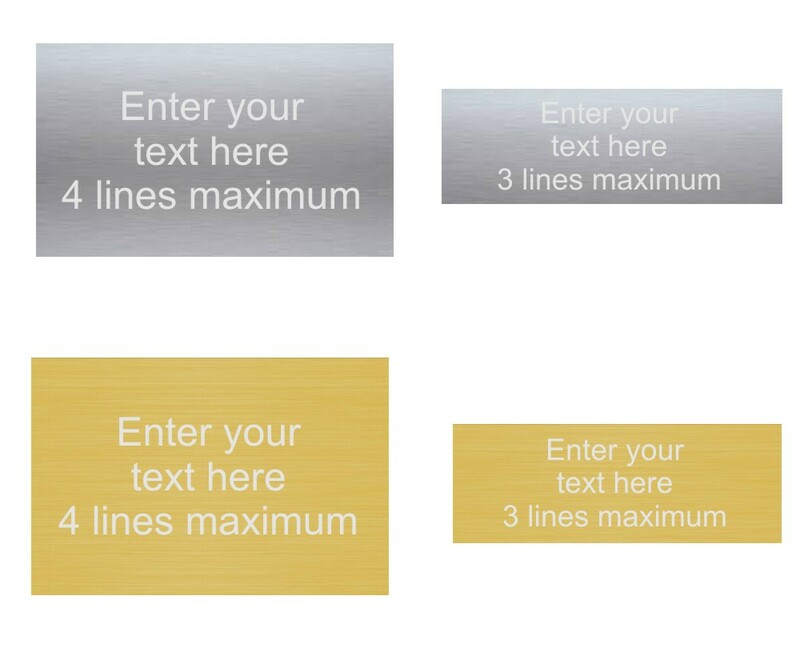 Gold and Silver Aluminium Engraved Plates. Available in 2 sizes, 49 x 25 and 40 x 16. Bright gold and bright silver laser engraved plates with self adhesive backing.